Read Cino's Mum's review on The Single Guys' Brisbane store and since it was nearby, decided to go downstairs to grab a coffee to give Iron Fist some encouragement for the afternoon. 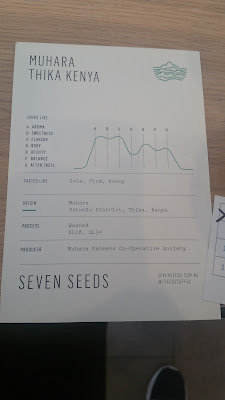 Food was limited to cafe style options like sandwiches, granola and waffles, but what really impressed me was the coffee options, which not only included the usual espresso options but also had my beloved filter options such as batch filter and manual brew. 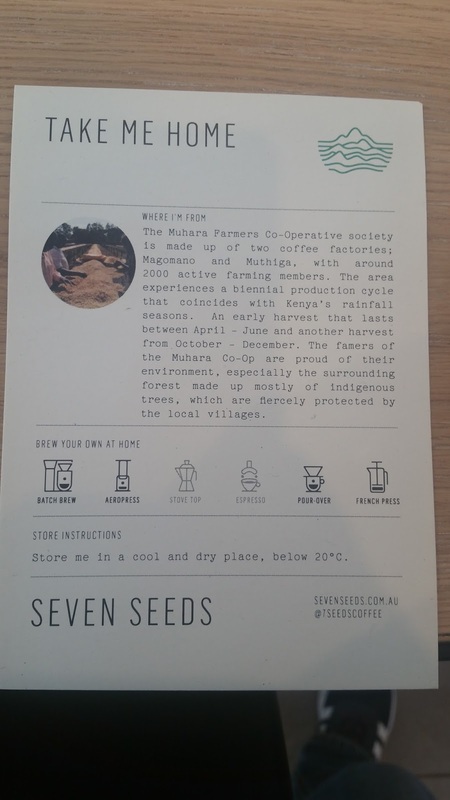 Ordering a cup of batch brew, I was also given an information card explaining the type of bean that they had used along with a description of the best method to appreciate it, as well as the tones that can be appreciated in the brew. I found it to be quite insightful and liked the opportunity to take my mind off work. 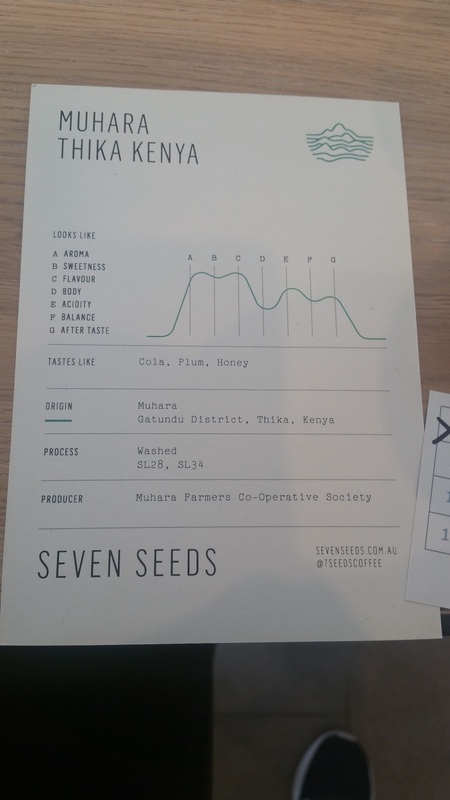 At this point I also have to add that the service was probably one of the best I've had in coffee stores in the CBD, perhaps it wasn't peak hour (2pm), but staff were extremely friendly, chatty and passionate about their coffee. I really appreciated that. 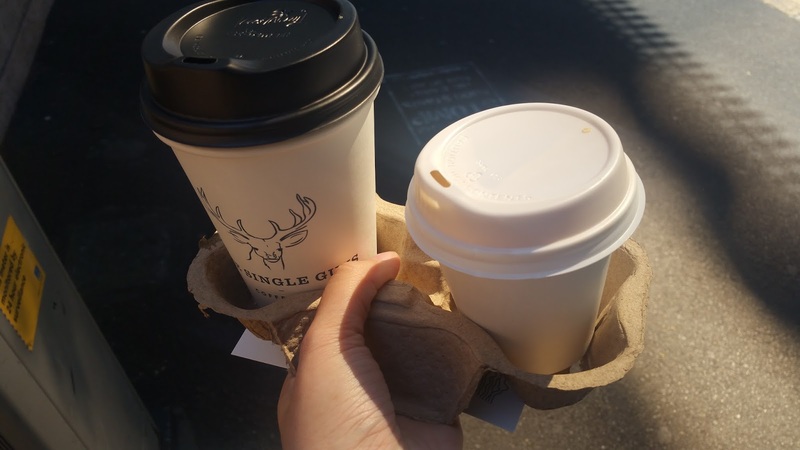 As usual, Iron Fist had his flat white, and as mentioned, I had the batch brew. Iron fist quite enjoyed the flat white, and I really enjoyed the flowery honey undertones of my Kenyan brew. 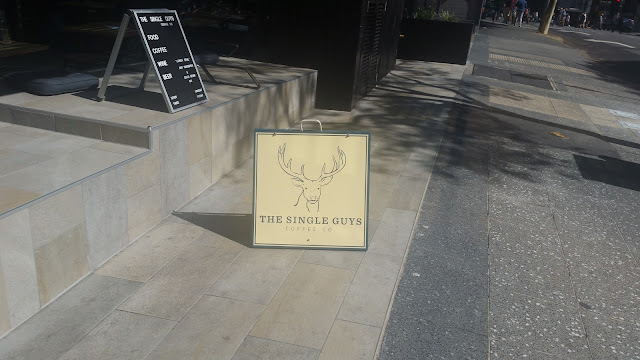 It made for quite the drink, so I will definitely be back for the coffee, if not the service.